Pfullingen is located near Reutlingen at the bottom of the Schwaebische Alb. With a population of about 18.000 inhabitants, it’s the third largest city in the county of Reutlingen. After the detection of historical pieces historians estimate, that in the area of Pfullingen there have been settlements already 3,000 before Jesus Christ. Pfullingen even had their own coins, weight and measurement. 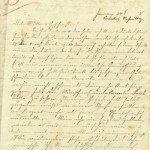 In a letter found in the nunnery even a own Pfullinger currency is mentioned. 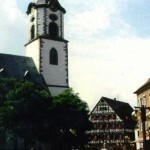 In 937 Pfullingen received the fishing rights from Emperor Otto I. Wolfgang, the Bishop of Regensburg, who lived from 938 – 994 and Kuno the Archbishop of Trier, who was killed in 1066 have been important descendants of the Dukes of Pfullingen. 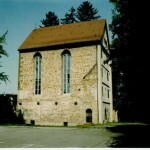 During the city wars Pfullingen was destroyed in 1311 and burned down three times between 1377 to 1388. 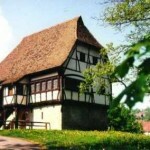 During the 16th century Pfullingen was fully owned by the Dukes of Wuerttemberg. In 1596 Pfullingen received their own rights like pillory, prison etc. The former castle today serves as youth and cultural center. 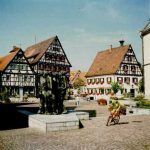 In 1699 Pfullingen received back the city rights and was until 1806 capital of the county. nunnery was sold to private hands. It’s important to mention, that the nunnery owned also land in Immenhausen, where ancestors of my Bauer line had been responsible for the administration of the farm. Until the 19th century the city was dominated by a farming environment due to the very good climate conditions, with a lot of fruit trees and also some vineyards. Beside the farming there existed various craftsmanship, who served the farming population. At the end of the 18th century new occupations like stocking-weaver came up. They produced about 23.000 pair stockings a year. Between 1830 – 1840 the small companies were transformed in large factories. The water of the Echaz was used as propulsion for not less than 22 mills around 1900. In 1833 the entrepreneur Louis Laiblin bought an English paper machine and started the tradition of paper fabrication in Pfullingen. There are currently two Kemmler branches in my database. They start with Johannes Kemmler (born around 1710) und Anna Maria Gumper sowie Conrad Kemmler (born around 1730) und Maria Barbara Bader. The Lutheran parish records are available locally, but they may not accessible to the public. Copies of the books and registers have been microfilmed by the Wuerttembergische Evangelische Kirche. Copies of the mircofilms are also available from the Mormon church. With the permission of the city administration I can show some of the pictures of the Pfullingen website.